Should You Have Lots of Credit Cards In Your Thirties? You know it’s true: You’ve been tempted by credit card sign up bonuses in the past. And you’ve maybe even signed up for a credit card solely for the sign up bonus… and then canceled it? Or have you been scared that opening up or canceling lots of credit cards in your thirties could hurt your credit score? There’s a lot of mixed information in this area that might leave you puzzled. Here’s the deal: credit cards can be really helpful and pretty benevolent unless you can’t use them wisely. It’s like anything: if you develop an unhealthy (overspending) addiction, you need to stay away. Otherwise, proceed wisely and happily. 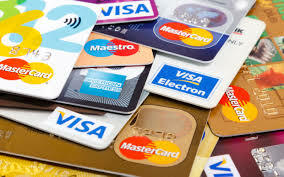 There are lots of benefits to having multiple credit cards. This is pretty self-explanatory, but the real trick to benefiting from credit cards, and especially from having multiple credit cards, is to make sure you pay the full balance off every month, not just the minimum. If you can’t pay the full balance off every month, stay with fewer credit cards until you can. Sign up bonuses and points aren’t worth the crazy expensive interest charges you’ll have to pay if you rack up debt. Part of your credit score is calculated based on length of credit history. If you cancel the first card you ever opened, you’re shortening your credit history, and this will hurt your credit score. Unless a card has a high annual fee that you don’t want to pay, there’s no reason to cancel. If you don’t want to use the card anymore, pay it off and cut it up. If there’s an American Airlines card that will give you 50,000 miles when you spend $3,000 in 3 months, make sure, if you get the card, that you’re gonna spend the $3000 in 3 months. I’ve screwed this one up before and have actually forgotten to meet the minimum. Put all your other cards away and solely use that one for awhile. If you can pay major bills, like your rent, on your credit card, you should be able to easily meet the minimum. There are actually services that can help you do this –this one is called Plastiq. Though Plastiq charges a 2.5% service fee, it can be helpful if you need to meet a minimum. Even if you have great credit, you’re more likely to get denied for a card if you open a new card every few weeks. I’ve actually opened and been approved for three cards in one day (I’m really good with credit cards and pay them off in full every month). If I’d opened one card and then waited a week to apply for the next card, I would have probably gotten denied. Wait at least 90 days to apply for the next credit card(s). In fact, the opposite is true. Your credit score is partially calculated from something called a debt-to-credit ratio. If you have more credit available, you’ll have a better ratio. If a card has a high annual fee and it’s not worth keeping, go ahead and cancel it. Your score will only drop a tiny bit from your lowered debt to credit ratio. And it will come back up again as you continue using your remaining cards wisely. The annual fees aren’t always worth keeping the card. The only exception to this rule is if you cancel your oldest card- that will definitely lower your score more than the others because it will change your length of credit history… as I mentioned above. There’s a lot more tips for enjoying multiple credit cards safely, but I hope this is helpful! As always, please comment below with any questions you may have! Thanks for reading!